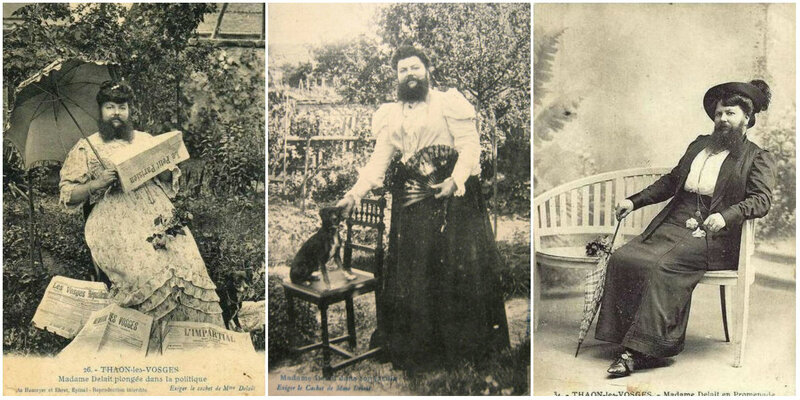 Clémentine Clattaux was born on 5 March 1865 in Chamousey near Charmes in Lorraine, Eastern France. 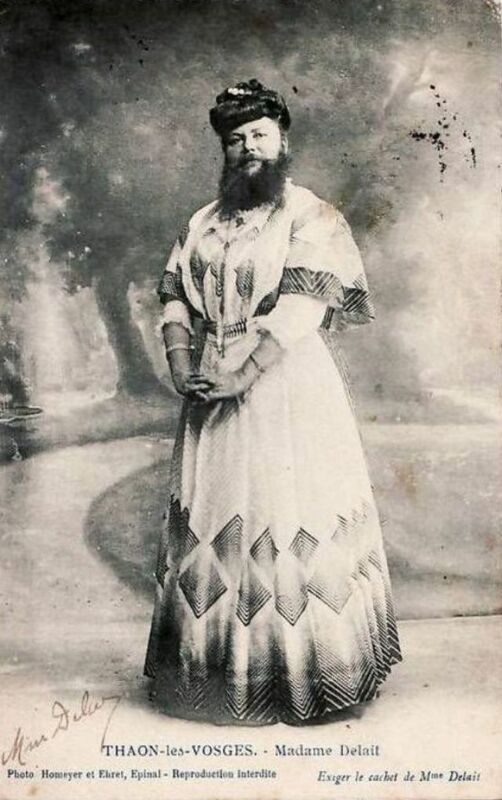 During the late 19th and early 20th century she was one of the most famously celebrated “bearded ladies” in Europe. In 2005 her private memoirs were discovered in a garage sale and were bought for “a very modest sum” by Roland Marchal, a second-hand dealer and collector from Bellefontaine in the Vosges. Written in violet ink in a school exercise book and decorated with spectacular photographs and press cuttings from the period, Clementine, who was believed not to have been able to write very well, dictated her memoirs to Pol Ramber, a reporter from the local newspaper, La Libert de l'Est, in the 1930s. 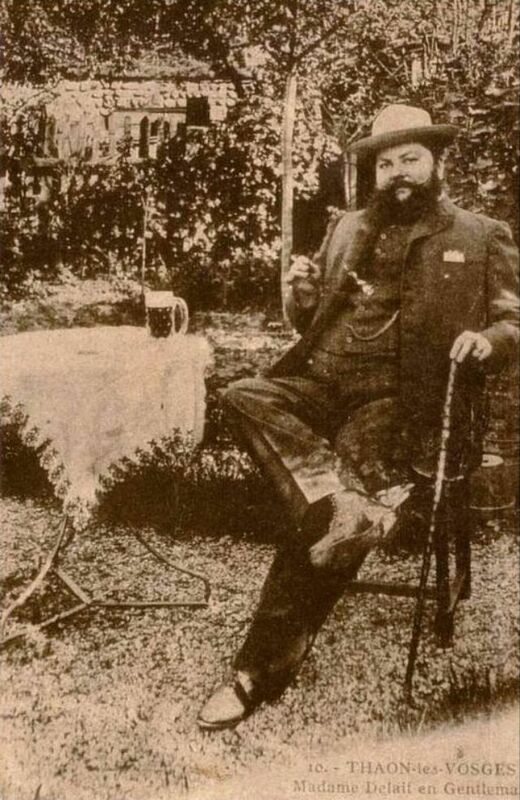 The text is written in his hand and is signed by him. 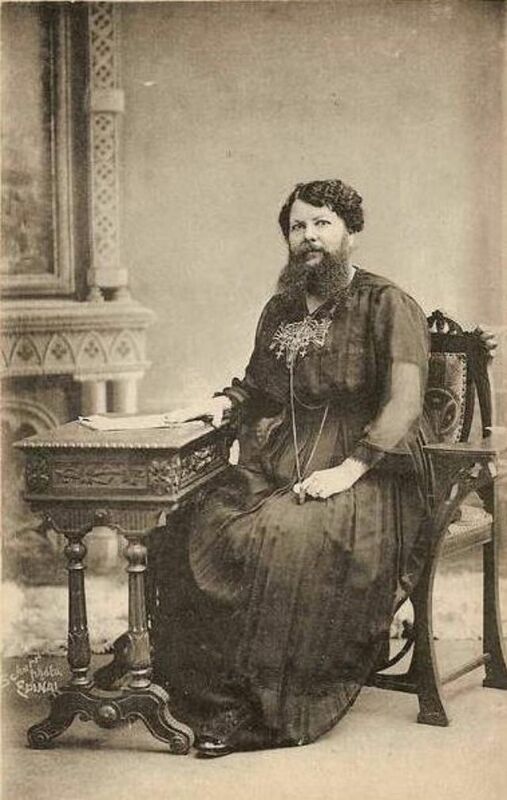 The 50-page document provides a fascinating insight into the life of an extraordinary woman who, far from suffering from her generous abundance facial hair, took great delight in it and used it to her advantage. 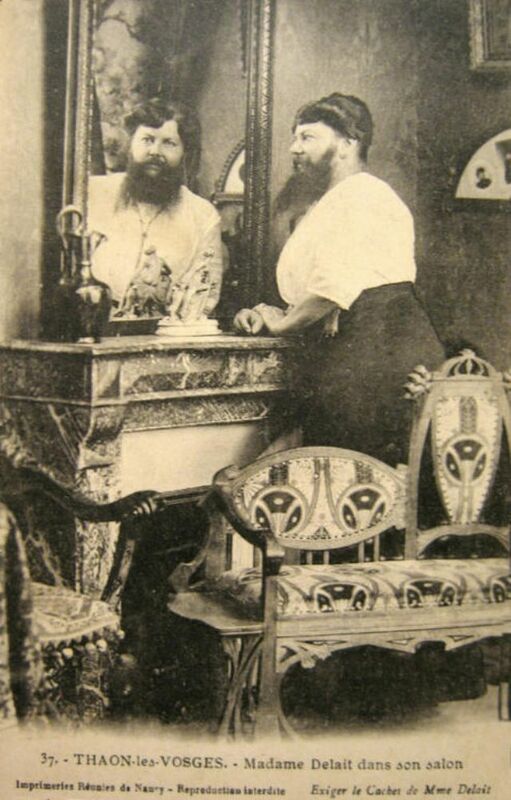 “I had a magnificent beard, curly and abundant which spread out in a double plume,” she related with obvious pride in her memoirs, which recount how her facial hair began growing while she was still a teenager. 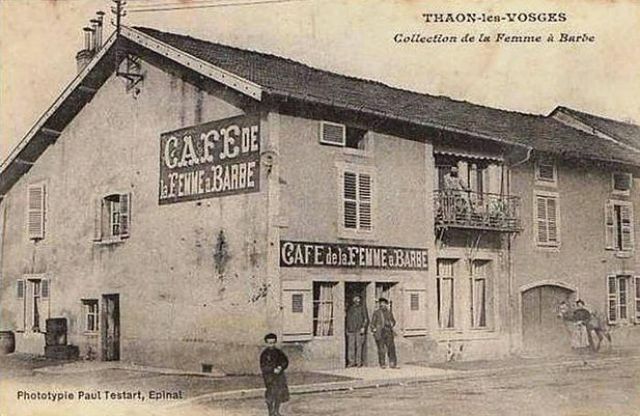 In 1885, she married a local baker, changed her name to Delait and opened a cafe and bakery in the village of Taon-les-Vosges. 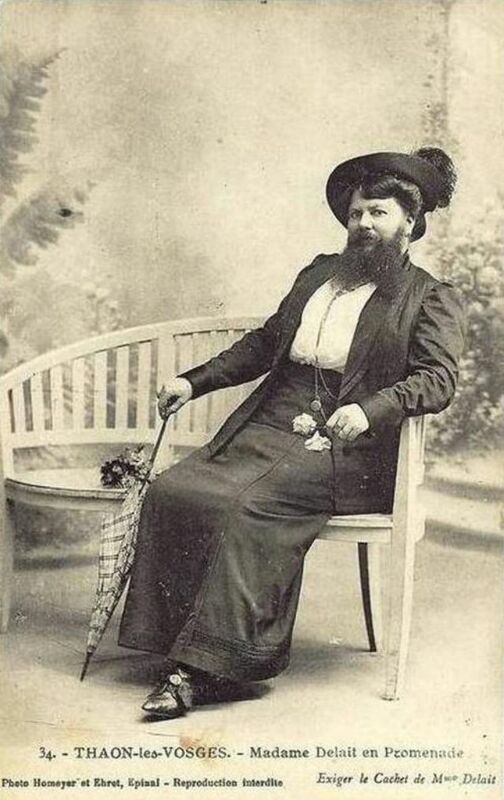 Until that point Clementine had conscientiously shaved off her beard every day, but while working at the cafe she made a bet with a customer to let it grow. “The success was immediate ... they were all crazy about me,” her memoirs state. 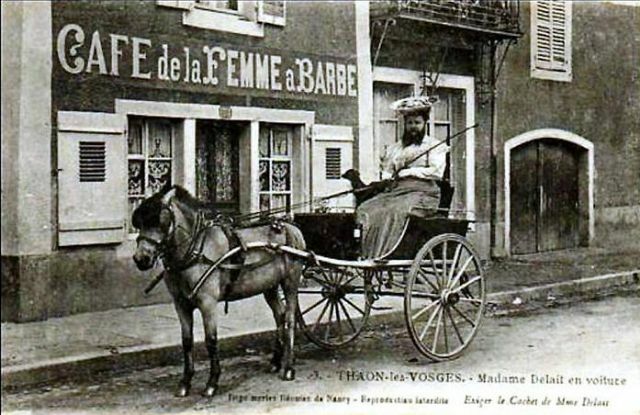 She promptly renamed her premises “Caf de la Femme Barbe” (Cafe of the Bearded Woman). 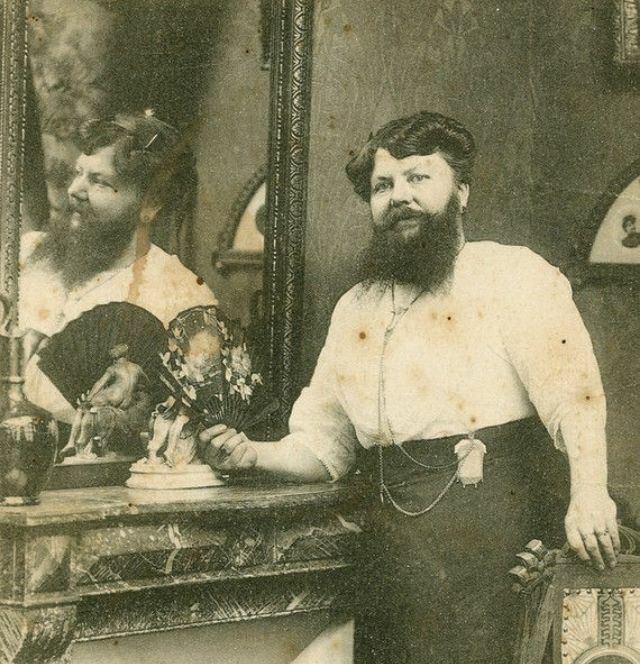 Clementine had a brother Auguste, who also boasted a magnificent beard, although her memoirs record that she always believed hers to be more beautiful than his. 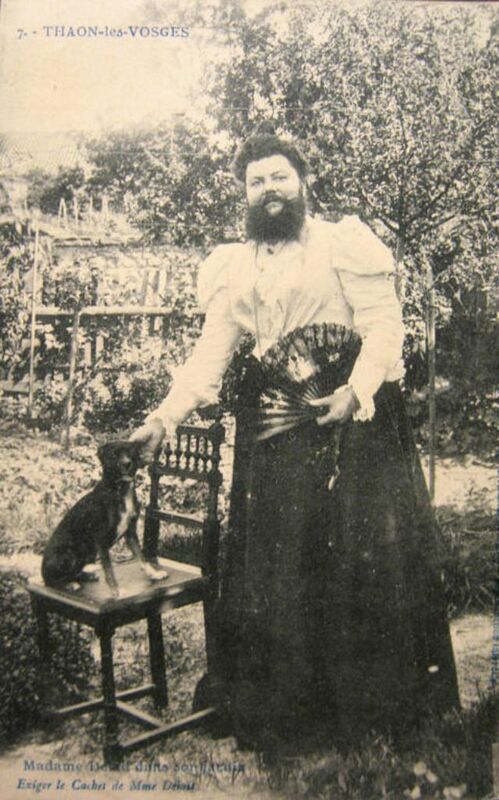 In her memoirs, Clementine described a visit to meet another bearded lady at a fair in Nancy. 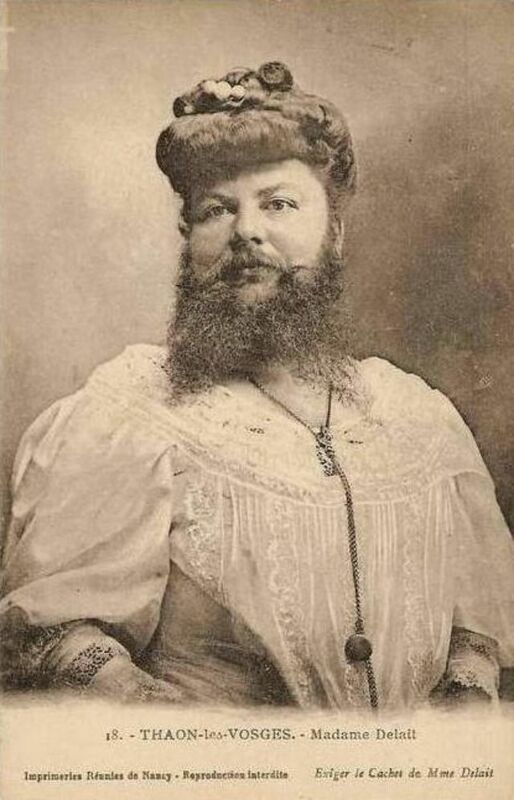 However, she returned unimpressed by the other woman's beard. 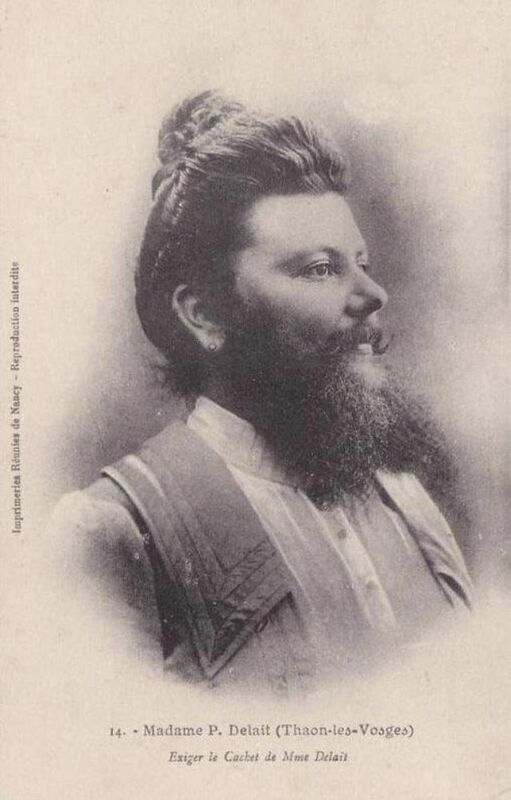 “A badly groomed phenomenon, neither man nor woman, who does not even have the excuse of being from the Auvergne,” she said, referring to a region of France whose inhabitants have a reputation for meanness. 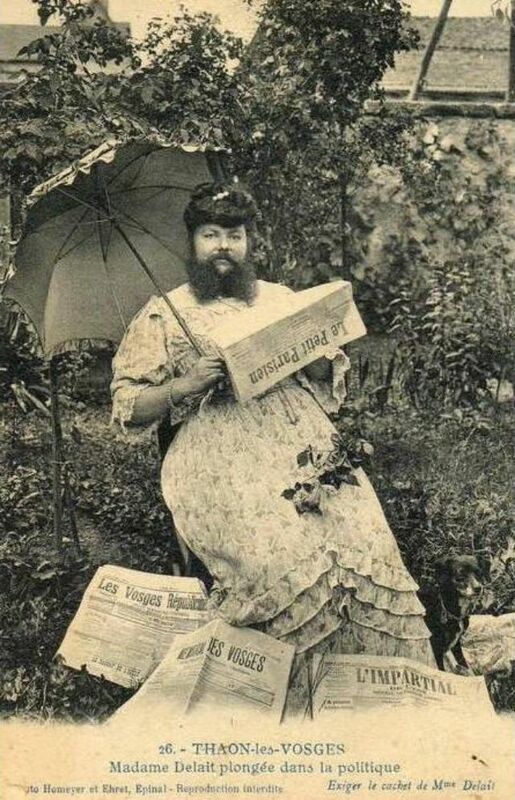 She did, however, come home with a recipe for hair pomade which she was eager to try out on her beard. 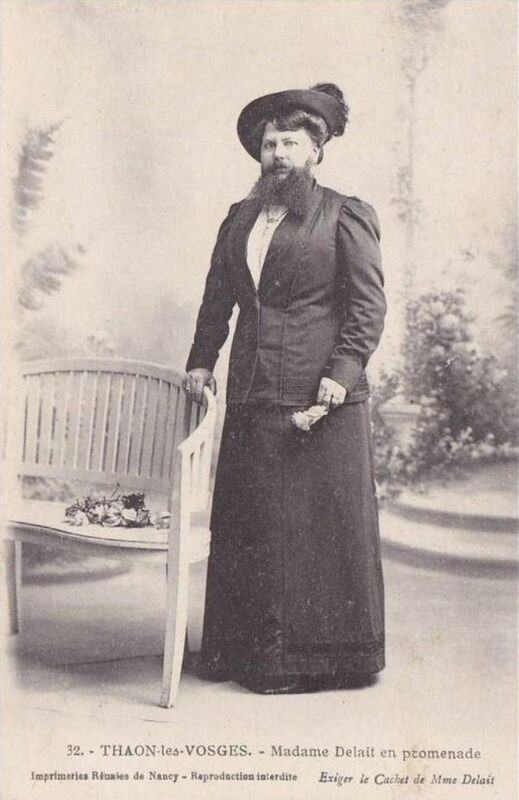 By her own account, Clementine was an imposing figure who weighed 14 stone at the age of 30 and nearly 16 stone by the time she was 40. 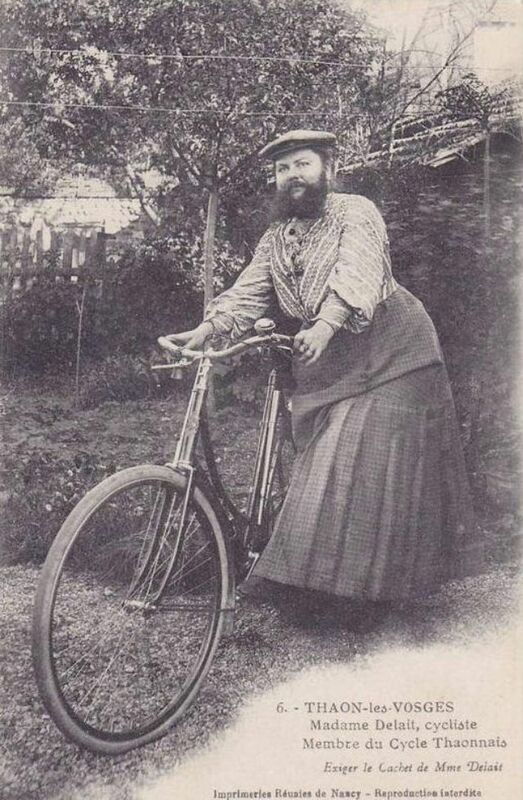 Clementine was an avid dog lover and she particularly enjoyed cycling as an outdoor pursuit. She also did volunteer work as a Nurse during the Great War. As news of her popularity grew, in the press, people came from all over Europe to visit Clementine's cafe. She and her husband had picture postcards made from photographs, which they sold to customers as souvenirs and which she sometimes autographed. 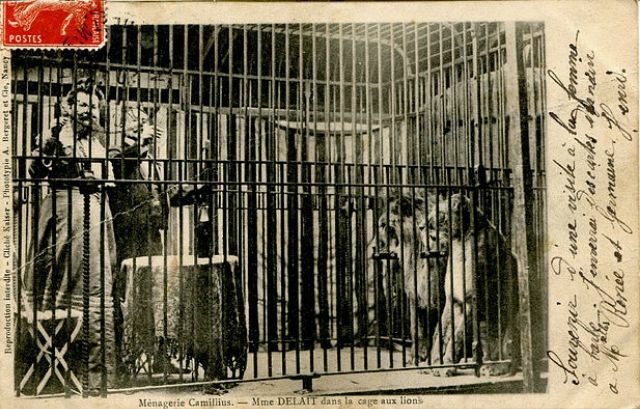 Apparently fearless, she agreed to enter a lions' cage in 1902, much to the delight of the lion tamer who was grateful for the extra publicity. 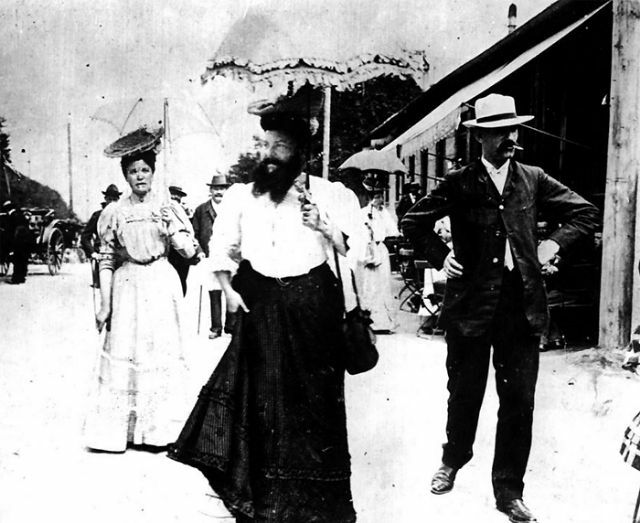 Despite receiving many invitations from all over the world, Clementine was a devoted wife who refused to leave her husband's side, especially when he was in poor health. 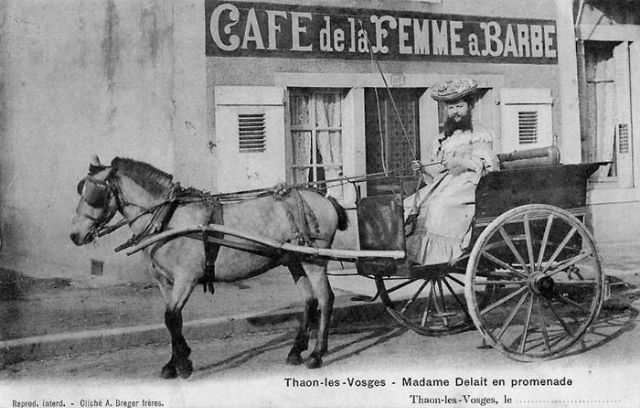 She loved running her cafe and certainly did not want to join a circus or become an international celebrity, traveling all the time and being exhibited. Even though she enjoyed her fame, her sense of pride and self-worth was very evident in her memoirs. 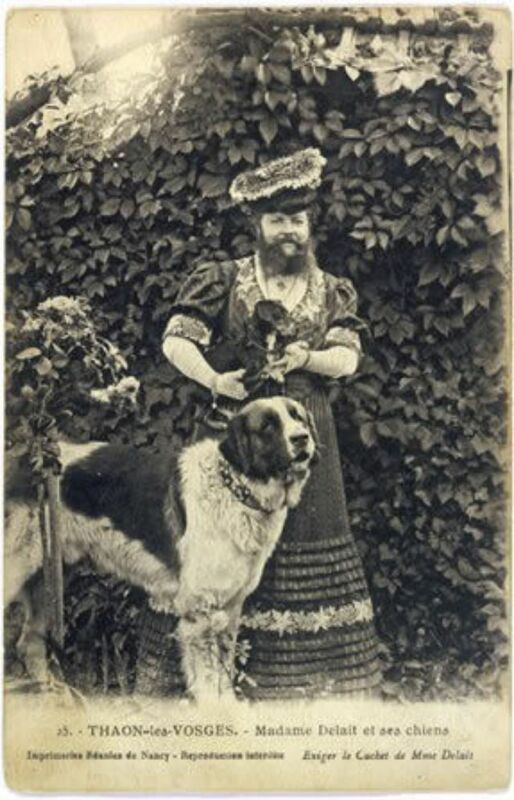 Clementine and her husband never had any children - possibly due to the same hormonal in balance or medical problem which had resulted in her growing facial hair. However, some 34 years into their marriage, they adopted a five-year-old girl whose parents had died in a Spanish flu epidemic. 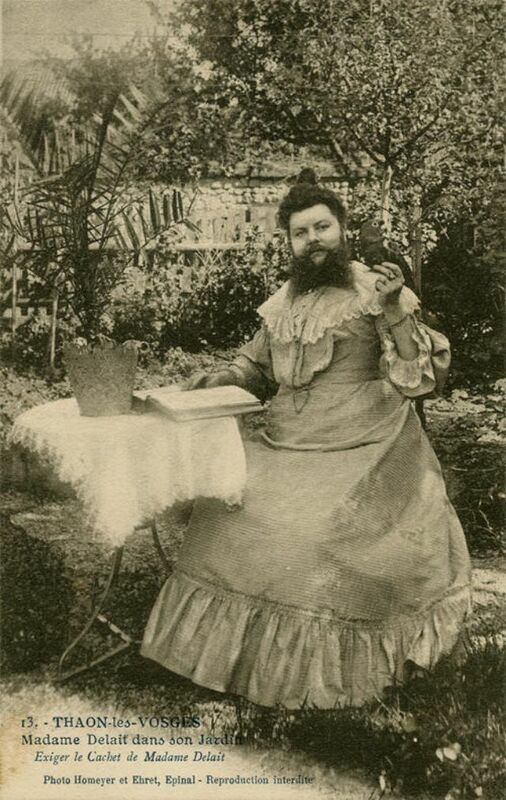 Although, she dressed as a conventional woman, Clementine did occasionally like to wear the trousers too. 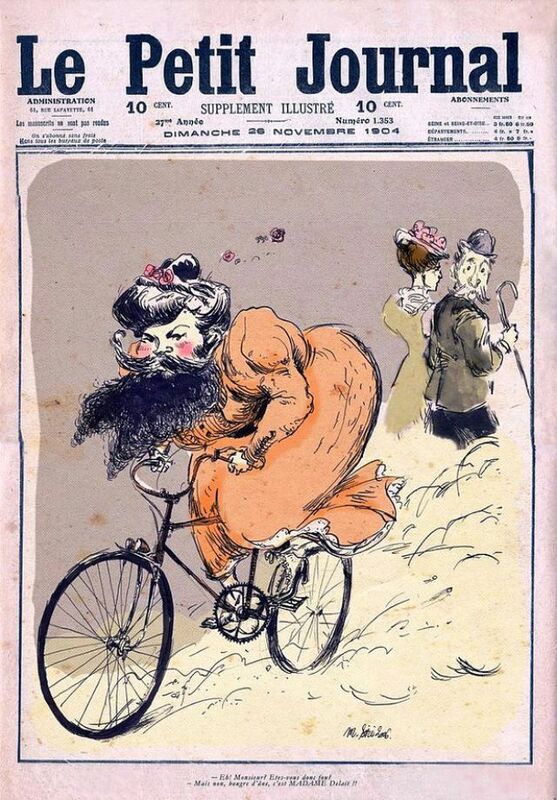 In 1904, special government authorization was required to allow Clementine to wear men's clothing, although strangely, she often preferred to wear a skirt while practicing her favorite sport of cycling. When her husband died in 1928, Clementine finally accepted some of those invitations to visit the famous Paris funfair, La Foire du Trone and she also traveled abroad to London and Ireland. 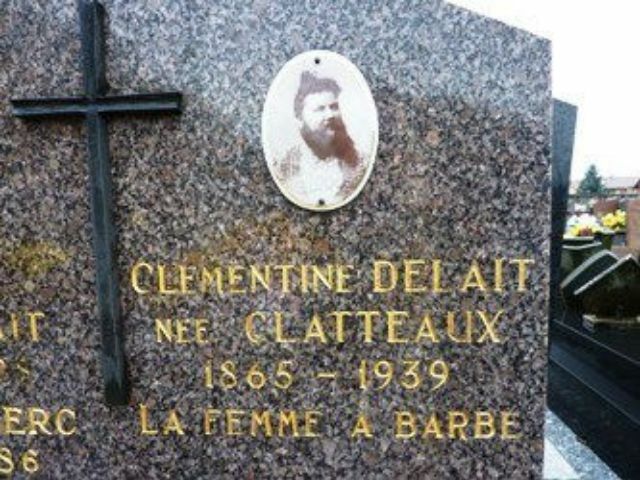 She asked that her tomb be carved with the epitaph, “Here lies Clementine Delait, the bearded lady”.